This is how you look like you have the holidays handled. 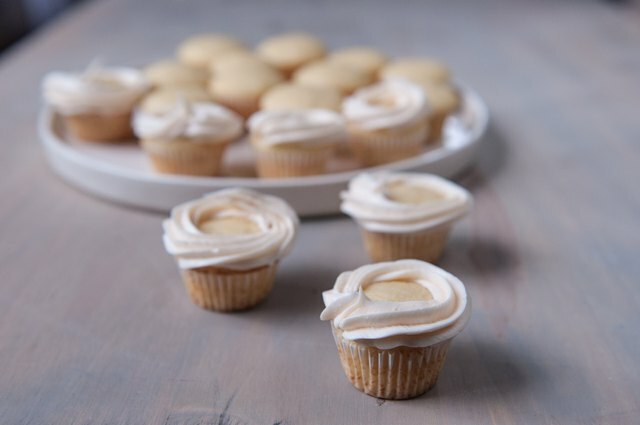 Kids need a homemade treat for the bake sale? You've got this. 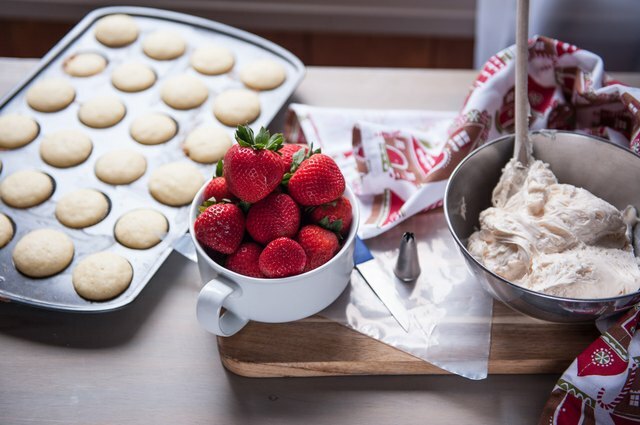 You need a bake-and-take treat for a holiday party? No problem. The effort you put into is this recipe is far less than the adorable results. 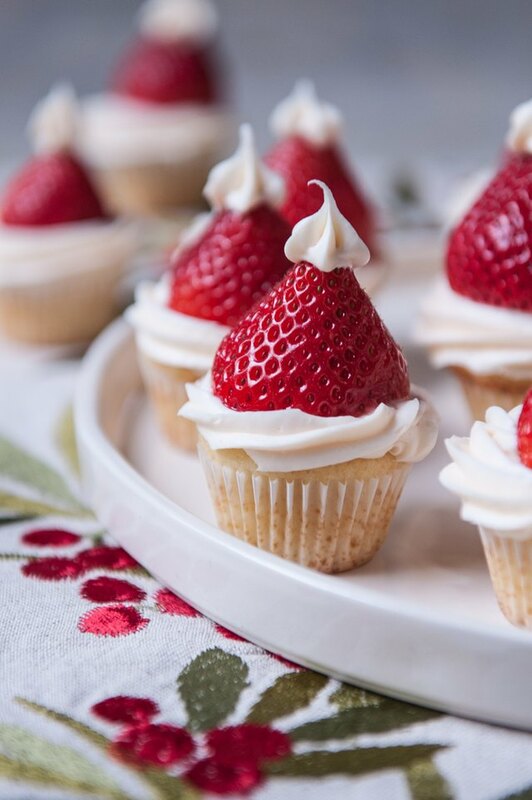 People will be stunned that you are able to do it all and still bring the cutest dessert to the holiday table. Cut the top off the strawberries making sure the strawberry can rest on the cut side with the point of the berry straight up in the air. 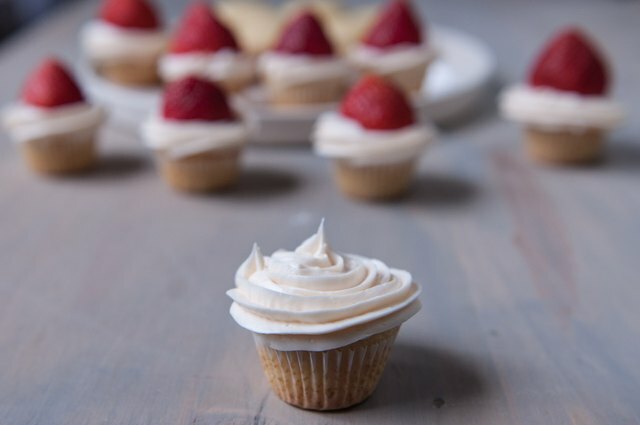 Dry the cut side very well to insure the strawberries stick well to the frosting. 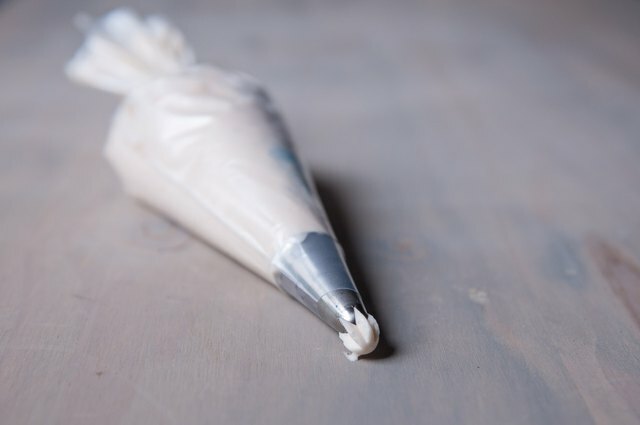 Fill a piping bag fitting with a start tip (not too big of an opening) with white frosting. 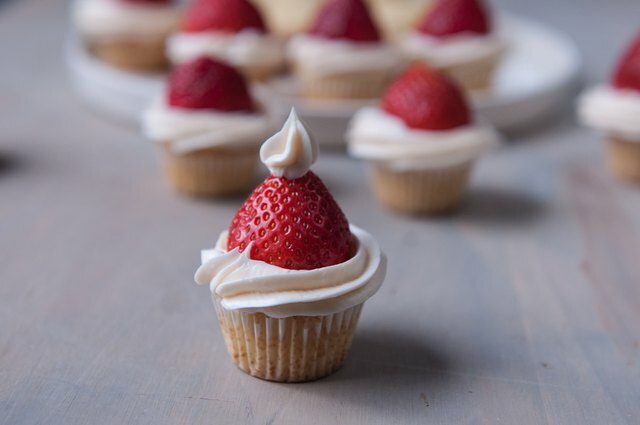 Pipe the white frosting around the edge of the mini cupcake to resemble the bottom ruffle of a Santa hat. 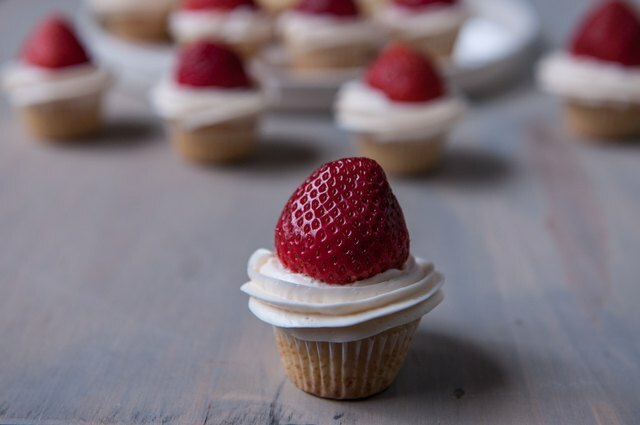 Fill the center of the cupcake with frosting (where the strawberry will rest) to give the strawberry something to cling to. This will act as "glue" for the strawberry. 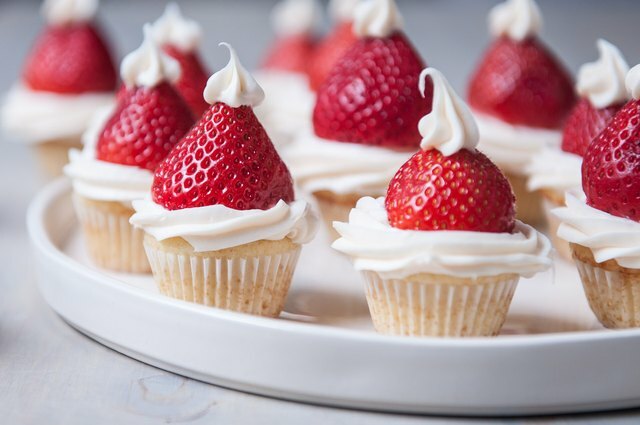 Place the strawberries in the center of the cupcakes. 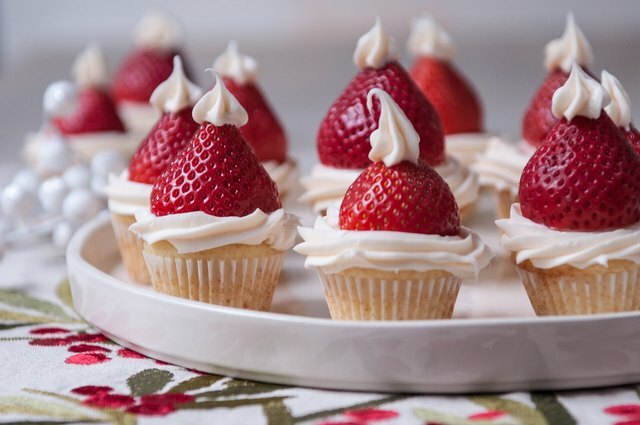 Pipe a small dollop of frosting on the top of the strawberry to resemble the top ball of the Santa hat. Chill until the frosting has set, 2 hours and not more than 18 hours. Strawberries do not keep well. 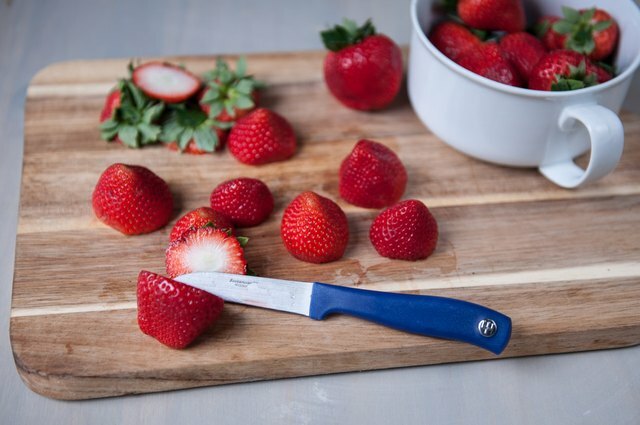 Strawberries are one of the few fruits that do not continue to ripen once picked. As soon as the berry is picked, it starts to deteriorate. Try to serve these within 24 hours of making.